Traditional Necklace in Black. 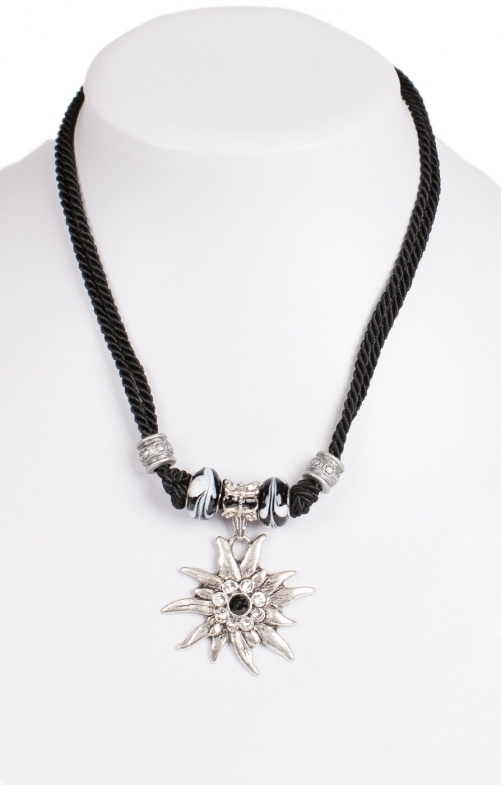 In true Bavarian style, this traditional necklace cord features a sheer black cord that holds intricately designed charms and a silver flower-shaped pendant that holds a black stone. This necklace would look great with any Oktoberfest outfit and will certainly attract attention. Die Kette macht einen hochwertigen Eindruck, ist gut verarbeitet und sieht toll aus. Sie passt hervorragend zu meinem auch bei Alpenclassics bestellten Dirndlmieder. Der Preis ist in Ordnung.